The Cars never released a bad album! First comes the band. Four albums in four years. All huge, all platinum. Then a three-year gap, which could easily be the end of the band. Come 1984, The Cars, with new producer “Mutt” Lange, release their biggest album yet, Heartbeat City. Hit singles, award-winning MTV videos, huge tour, Live Aid, all that mid-1980s stuff. It doesn’t get much better than that. Then it’s time for another break. The band’s first break (between 1981’s Shake It Up and 1984’s Heartbeat City) saw the release of two of The Cars member’s solo albums (Ric Ocasek’s Beatitude and Greg Hawkes’ Niagara Falls. 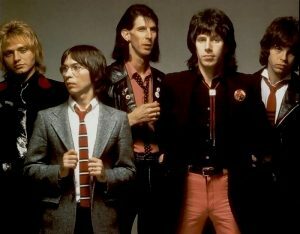 ), The next break however (following Heartbeat City and the obligatory hits album, which featured the single “Tonight She Comes”), saw albums by THREE group members; the star songwriter (Ric Ocasek), the star guitarist (Elliot Easton) and the star vocalist (Benjamin Orr). After this solo journey, the band reconvened in early 1987 to release what would unfortunately be their final album, Door To Door. Although a solid effort, it didn’t measure up their previous work, both critically or commercially, and after the spottily-attended tour, the band called it quits in February 1988, ending a decade-long reign of one of America’s greatest rock bands. The best (and needless to say, most Cars-like) of the three was Ocasek’s sophomore release. Enlisting keyboardist Hawkes from The Cars, his was the best, both commercially and critically. One glimpse at the album credits showed something that most punters wouldn’t pick up; many of the other musicians on the album were considered “cutting edge” artists (Roland Orzibel, Steve Stevens, Chris Hughes and Tony Levin – among others), which seemed strange that somebody who was long considered “cutting edge” would want to use the era’s hot new artists to keep his career relevant. But that said, it was 1986, and The Cars had been around for almost a decade. 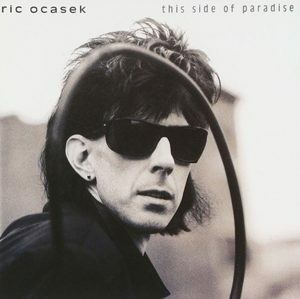 This Side of Paradise spawned Ocasek’s only hit single, “Emotion In Motion” (no relation to the 1982 Billy Squier hit), which peaked at #15. Ocasek’s production skills on the album were similar to those employed on 1987’s Door To Door. Trivia: 1986’s This Side Of Paradise contained contribution from all the other Cars’ members except drummer David Robinson. Eason’s only solo album, Change No Change, was co-written by Jules Shear (of the critically acclaimed but commercially disappointing new wavers Jules and the Polar Bears) was released in 1985, an “off” year for Easton’s day job band, The Cars. But being “off” in 1985 meant performing at July’s Live Aid concert in Philly; releasing a greatest hits album (The Cars’ Greatest Hits peaked at #12 on Billboard’s Album Chart) and a new single (“Tonight She Comes” – #7 on Billboard Singles Chart) and accompanying video. Shears, (composer of Cyndi Lauper’s “All Though The Night” and The Bangles’ “If She Knew What She Wants”), also sang backing vocals on the album. Guitars and bass were handled by Easton; drums were performed by Ministry drummer Stephen George. Bassist Brad Hallen and keyboardist Jon Mathias also contributed to the album. 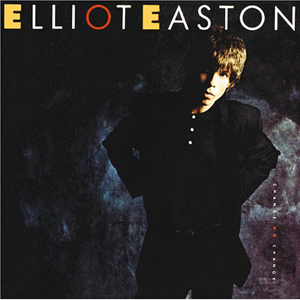 Oddly enough, despite Easton’s reputation in the industry, Change No Change is not a guitar-based album; it’s more songwriter styled disc, reminiscent of an Elvis Costello release. Which, in 1985, couldn’t be considered a strong selling point. Nonetheless, it’s a good, but not great listen that only sometimes gets past second gear. Post-Cars, Easton played with a number of different artists, but Change No Change remains the only album released under his name. Trivia: Easton grew up in Massapequa, New York, the same town as Brian Setzer, Dee Snider and Jerry Seinfeld. Although he was the lead vocalist on many of the band’s most popular songs (“Just What I Needed,” “Candy-O,” “Moving In Stereo” and “Double Trouble”), it was 1984’s hit single “Drive” (and accompanying video) that brought Cars bassist/vocalist a lot of attention. 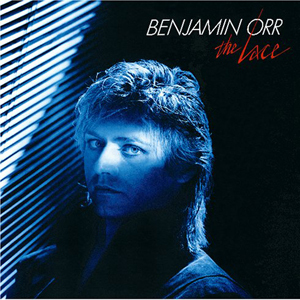 Unfortunately, Orr was an inexperienced songwriter and due to his unwillingness (or inability) to kick out the jams (but to be fair, The Cars were never that kind of band), there wasn’t a lot of punch in most of the synth-heavy, mid-tempo tracks on the album. The best song, the lone hit single (“Stay The Night,” #24) showcased his voice, but fell squarely into the “adult contemporary” category. The Lace was Orr’s only album; after The Cars disbanded, he spent the rest of his career performing with a number of bands, including his own (Orr) and “supergroups” of similarly washed up rockers. Unfortunately, Orr lost his battle to pancreatic cancer in 2000.